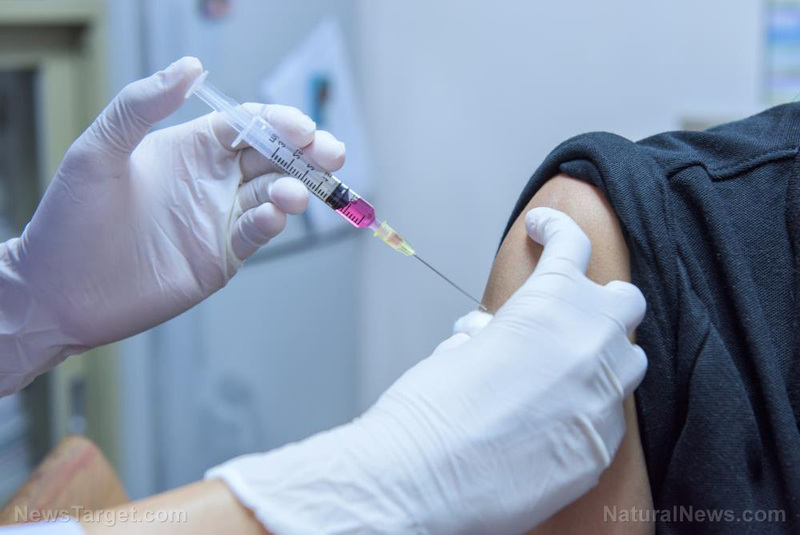 ( Natural News — Pro-vaccine propaganda makes it seem as though the purported benefits of inoculation are irrefutable, but research continues to demonstrate that vaccines aren't nearly as safe or effective as Big Pharma wants you to believe. While the pharmaceutical industry and their puppets declare their precious shots are infallible, studies show that vaccines don't just fail to produce immunity ­ they can actually encourage the spread of disease, too. In fact, there are over 600 studies which highlight the many failures of vaccines. Under current vaccine dogma, any research which indicates vaccine inefficacy or vaccine damage is "fake news." Medical tyranny is soaring to new heights, with social media giants like Facebook declaring a war against health freedom and quashing the spread of dissenting information. Anyone who breaks away from the "party line" is now subject to censorship, character assassination and public shaming. It is no wonder that people are now slowly waking up to the truth that conventional opinions on vaccines are based on industry-funded lies , and nothing more. As a new report recently published in Proceedings of the National Academy of Sciences of the United States of America reveals, vaccination can substantially increase the spread of disease. As sources explain, the team of researchers found that influenza carriers exhale significant amounts of viral influenza. In fact, simply exhaling is a more "effective" route of spreading influenza than sneezing ­ so even if you aren't symptomatic, you are indeed spreading the virus. The power of the elements : Discover Colloidal Silver Mouthwash with quality, natural ingredients like Sangre de Drago sap, black walnut hulls, menthol crystals and more. Zero artificial sweeteners, colors or alcohol. Learn more at the Health Ranger Store and help support this news site. This fact becomes far more chilling when combined with the researchers other finding: Vaccinated people shed over six times the amount of infectious flu virus than non-vaccinated individuals. The team reported that there was "6.3 (95% CI 1.9—21.5) times more aerosol shedding among cases with vaccination in the current and previous season compared with having no vaccination in those two seasons." As sources contend , these findings indicate that flu vaccination may not just be ineffective, but actually harmful in terms of spreading disease. Rather than preventing illness, it appears that flu inoculations contribute to the spread of influenza and may actually contribute to the onset of disease. Indeed, flu-vaccinated people spread 630 percent more viral particulate than their unadulterated peers. This means ­ prepare yourself for this realization ­ that the most responsible way to avoid infecting other people is to AVOID being vaccinated with flu shots. People are receive flu shots [sic], in other words, are irresponsible spreaders of the flu. They're the ones making other people sick, just as we've observed for years. The flu vaccine has been heavily scrutinized in the past for its lack of efficacy ; some years the vaccine was so bad that even the CDC had no choice but to apologize for their massive failure. But beyond the blatant lack of proof that flu vaccines actually work, there is substantial proof that flu vaccines are dangerous. Many studies have shown that vaccination contributes to the spread of disease ­ and even more alarming, there is always a risk of adverse events. In late 2018, a flu shot victim was left unable to walk, speak or breathe on his own . And this is what modern medicine levies as its Holy Grail? Under pro-vaccine dogma, only one opinion is allowed to reign ­ and that opinion is that vaccines are infallible. There is a veritable mountain of evidence to the contrary, and yet, most of mainstream medicine refuses to even acknowledge the possibility that they are wrong. Proponents of the vaccine industry and their puppets are bent on silencing all dissenting voices and eliminating any traces of vaccine skepticism from the internet, and it's time to start asking why. See more coverage of the latest vaccine truth at Vaccines.news .